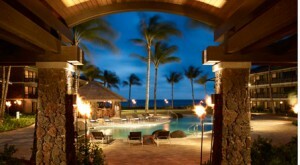 Alaska Airlines has announced daily nonstop service from San Diego to Lihue airport on Kauai, beginning June 7, 2012. We are excited about this development as Kauai is home to one of our favorite Hawaii Honeymoon Resorts – Ko’a Kea Hotel & Resort. Ko’a Kea Hotel & Resort is one of the only locations in the Hawaiian Islands that caters to adults. It is a lovely secluded spot in the Poipu area. We have received such great feedback from recent Honeymoon clients that we wanted to let everyone know about it! For more information, please call us at 1.866.614.1803 toll free in the US & Canada, or click here and be sure to add Ko’a Kea from San Diego in the comment field.